Two-piece ribbon on tulle dress set, sleeveless A-line dress with front and back V-necklines and hand-beaded ribbon work on bodice, matching long sleeve cardigan style jacket, suitable for the mother of the bride and the mother of the groom. 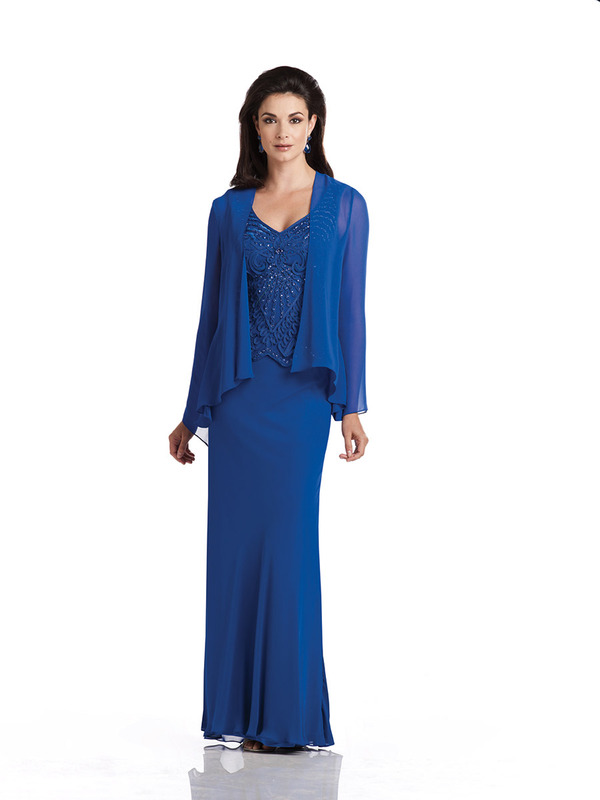 As shown in Royal Blue: Jeweled Occasions earring style Jennifer sold separately. As shown in Blush: Jeweled Occasions ring style Saddie sold separately. Earrings no longer available.